About 25 licences that were given to private operators between 2002 and 2014 to build refinery complexes in Nigeria will be reviewed at again and those that have remained inactive will be revoked, the Minister of State for Petroleum Resources, Dr. Ibe Kachikwu, has said. Kachikwu said last week when he hosted a group of online news outlets in Abuja that as part of its ongoing efforts to sanitise Nigeria’s downstream petroleum sector, the government was going on to review the status of the refinery licences. He noted that those who had crossed certain acceptable operational thresholds would be allowed to go on with their works while those who haven’t would be cancelled. “The next stage of this is that we are going to look at all the licences that have been given out; some of them were given a window within which to build their refineries and we are going to revoke the ones that were not used,” said Kachikwu in response to a question on the status of the licenses. He further explained: “The reason they did not use the licences is that unless the price is right on the outer point, your economics cannot balance. So, no refinery investment in the world comes to a country where there is no liberalisation and it is not just Nigeria because if you don’t liberalise, nobody is going to invest in your refineries. “So, that is why they did not, a lot of them thought it was nice to have licences but as soon as you move into the capital market and you do your analysis, you realise this.” The minister noted that government would henceforth require investors in refinery to show some levels of commitment to their plans as they submit their requests, adding that refining licences would no longer be issued discretionarily. “The more the government gets out of some of this private sector businesses, the less you have discretionary allocations of this or that to people. “We have advertised for three already; the co-located ones, but this time we are going to be very rigorous in giving out licenses. “You are going to show us the kind of financial model already in place and guarantees that you have the funding to do it, but we will also be helping them by doing what we can, by making sure that they get products at the right prices,” Kachikwu stated. In March, the Department of Petroleum Resources (DPR) which is saddled with the task of issuing refining licences stated that there are 25 private refinery licences issued by it, out of which 21 are in the ‘Licence to Establish’ (LTE) category, while four are in the ‘Approval to Construct’ (ATC) category. DPR also noted that three of these are billed to construct conventional stick-build plants and 22 will construct modular units with a combined refining capacity of 1,429,000 barrels per day (bpd). Meanwhile, the Independent Petroleum Marketers Association (IPMAN) has reiterated its support for the decision by government to liberalise the downstream petroleum sector, saying its regulation of who to import and distribute fuel in the country was a failure. IPMAN’s President, Chinedu Okoronkwo, told journalists during a press briefing that members of the association have taken up government’s challenge to oil marketers to import and sell products and would soon flood the market with petrol. Okonkwo said the recent scarcity of petrol in the country was as a result of the regulated regime where only those approved by government could import and sell petrol. 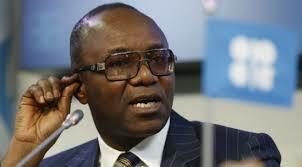 He said in recent times NNPC was the sole importer of petrol and that the situation became a serious burden on it. “A regulated business regime anywhere in the world does not thrive. Business is for private sector, they have the investment and zeal to bring competition and operate successfully,” Okonkwo added. He also condemned the recent strike embarked upon by the Nigeria Labour Congress (NLC), saying strikes by the labour movement have always ended up without any tangible results.